A slow site to load for a user will have a negative impact on your marketing efforts for your website. Your site loads slower which will increase your bounce rate and could result in the pogo-stick effect. A pogo stick effect means a user clicked on your site from a search engine results page, but then went back to go to a different website for various reasons. This leaves a negative memory about your site for not delivering on a searcher’s intent to the search engines. This negative effect can decrease your search rankings for that term or similar terms. This blog post will show how to enable compression for your website using WordPress. By enabling this, we will improve your website’s speed efficiency. The plugin is free and it will only take a few minutes to set up. Let’s being now! You can run a speed report of your website once it is verified within Google Search Console. Head over to the other resources section and click on the PageSpeed link. Here is a picture of what my site looks like on a desktop. You will notice I will need to fix this compression issue ASAP. 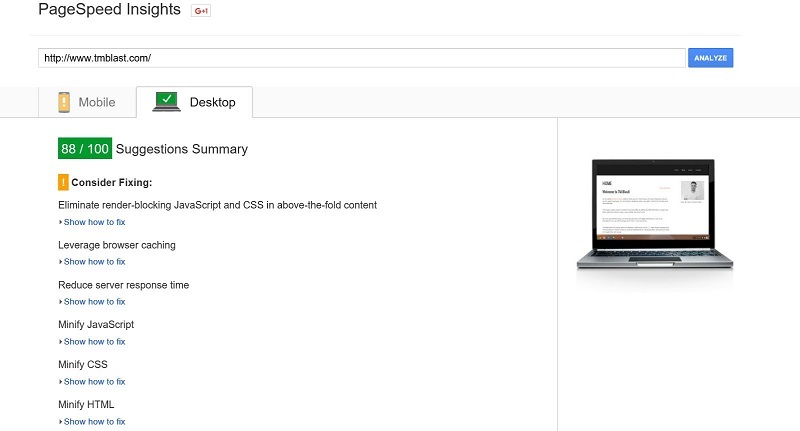 You can run this report on any of your webpages. You can also click on the blue hyperlink to learn more about what this issue is from Google itself. You might have a problem on your site with the image file size on the page. Go over here to see how to compress images to speed up your page load time. This process will significantly improve the page speed of your site as well if you have that error message. First, you will need to download the W3 total Cache plugin for WordPress. I think this plugin is perfect for the not so technical web owner (like myself), so I would recommend it. This plugin has some advanced settings you can play with if you know what you’re doing as well. Next, we are going to head over to performance and page caching to get started. Here are the settings that I checked off to get started. Once everything is in order, you will need to click on the save all settings box. One of the boxes I did not check off was the cache 404 pages. For me, I don’t want these pages to be returned with a 200 response as that can throw off my screaming frog pulls when I look for 404 pages to clean up. Even if it makes my site load a little faster, I think this might contain future SEO problems that are not worth the slight increase in speed performance. However, I have seen a lot of blog posts that have this box checked off, so this is totally your call. Under the page cache page, I also made my settings set to 900 seconds for update interval. I made my pages per interval set to 10 and I have my sitemap URL added to the sitemap URL section. Now that we made those changes above, I am going to rerun the report to see if my site loads faster on both desktop and mobile. Here is the report that looks at the desktop. As a note, you can change the settings in W3 Total Cache to whatever you would like. 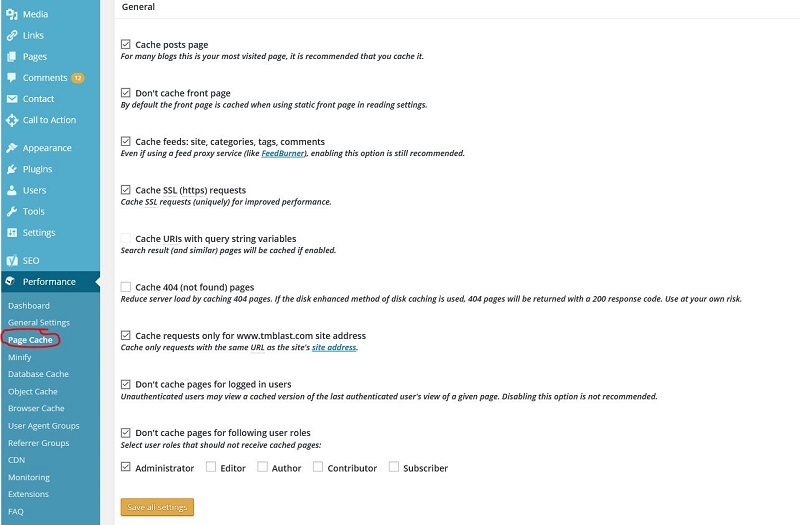 The plugin has a lot of great and advanced options to allow you to customize the caching for your website. This blog is being shared for what I did, but I would urge you to play around with the settings that make the most sense for your blog.